In Catholic practice, Mardi Gras (“Fat Tuesday”) is the last day of celebration of Carnival before the fasting period of Lent. In the United States, the holiday is nowhere more vigorously celebrated than in New Orleans, Louisiana. There, a two-week Carnival season terminating on Mardi Gras is celebrated with parades composed of elaborate costumes and masks, floats, marching bands, all organize by private “krewes” composed of public-spirited citizens dedicated to preserving the Mardi Gras tradition. Krewes tend to have a fairly constant structure of officers, who frequently ride horseback in handsome costumes and white draped masks, float riders who chuck “throws,” or small gifts such as plastic beaded necklaces, toys, or mementos (usually with the krewe’s name and insignia) into the cheering crowds, and a guest “king” and “queen” of the krewe. Mardi Gras in New Orleans is also typically celebrated with formal balls held by the krewes in honor of the king and queen, and to celebrate the season. Mask wearing among street celebrants is common as well. 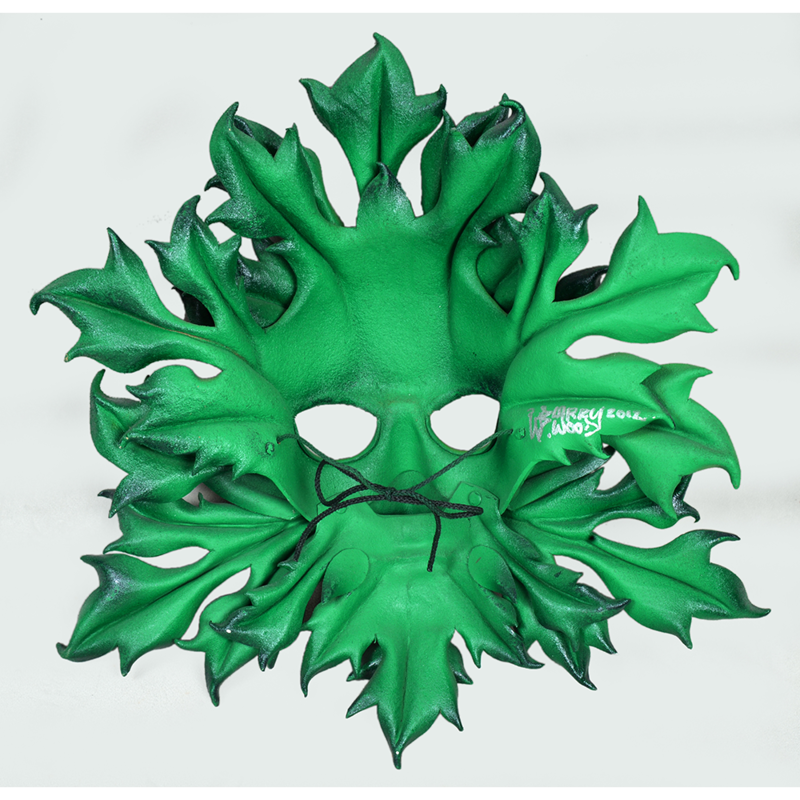 Traditionally, Mardi Gras masks are made of formed and painted leather, and can represent any character from real life or fantasy. In modern practice, cheap masks mass manufactured of sequined cloth or paper maché covered in dyed feathers have become common. This specific mask was hand made by a skilled artisan from Maryland for Renaissance festivals and New Orleans Mardi Gras. 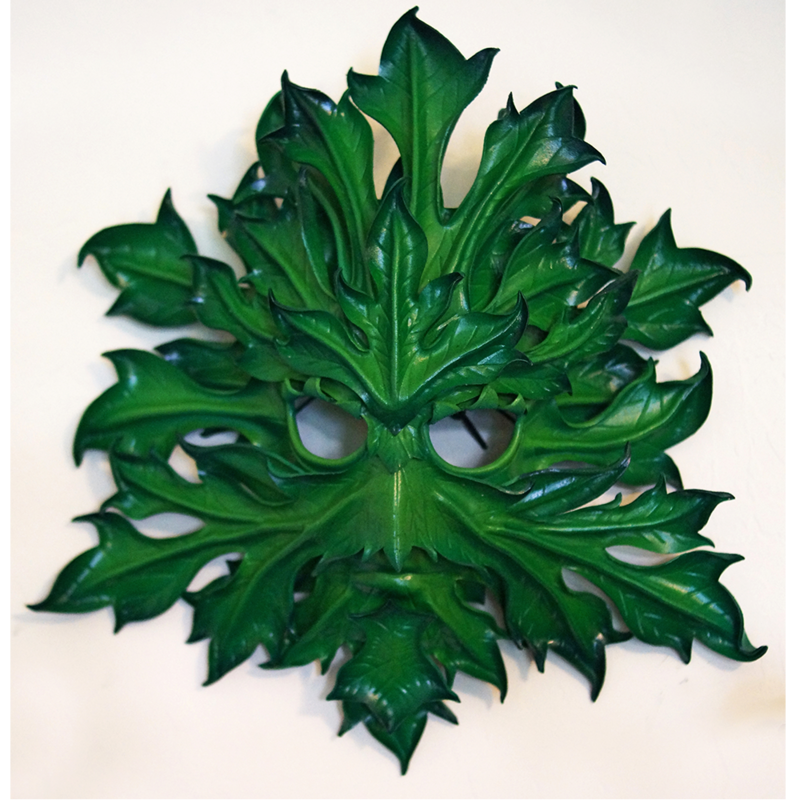 It represents a “green man,” a representation of a natural animistic deity common portrayed throughout European history and especially in Celtic motifs. 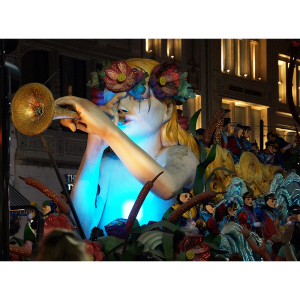 A video of Mardi Gras in New Orleans, Louisiana, 2019. © 2017–2018 Second Face. All Rights Reserved.